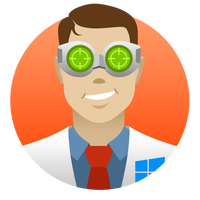 Recover deleted files on Windows systems with Disk Drill. If you accidentally deleted critical documents, music, movies, photos or other files from your computer, Disk Drill can help. Should you lose your data due to emptying of recycle bin, camera failure, missing backup disk, power disruption, improper partitioning, etc., Disk Drill’s robust deleted file recovery can help in various cases. Whatever file system your storage carries (NTFS, FAT, HFS, EXT4, exFAT) Disk Drill will take the challenge.